Each student, when he is studying at an institute, a university, must pass several written works for a semester. These are small works (tests, essays), as well as coursework. With 3-4 courses, usually students pass industrial practice at enterprises in their specialty (at the end of the course - pre-diploma practice). On them it is necessary to write a report on practice. Completing the training at the bachelor's degree, it is necessary to write a bachelor's degree thesis. When studying in a magistracy, it is necessary to periodically write and publish scientific articles, to write a master's thesis on the chosen direction of research. I know perfectly well that there is not much for many: there is work, there is a family, there is no time. That is why students and undergraduates are looking for those professionals who will help them in their studies. And most often they turn to "reference firms", which promise to provide such assistance. To be honest, the assistance of most of these firms is bad: you take relatively little money from you, but promise that a great scientist will write a paper. A smart person will understand that this is not the case: a scientist for a low fee will not work (especially, the company pays not more than 50% of the amount you paid). As a result, work is written by non-professional authors, freelancers - hackers or just schoolchildren and students. Those and others are often poorly versed in the topic, doing poor work, downloading much from the Internet, and if doing rewriting - it turns out horribly. Hence a lot of scandals, demands to return money (from customers). Previously, such firms were more professional and worked more qualitatively (though not all), but now professional authors of student's works refused to cooperate with them - nobody wants to work for pennies. Therefore, I urge you to order work directly to a professional author. I myself am the author of student works. I have been working since 1998-1999, specializing in economics, law, public administration, political science and international relations. During my work, I wrote many master's dissertations, bachelor's theses, course and control papers, essays in leading universities in Russia, Kazakhstan, Ukraine, Belarus, Latvia, Lithuania, and Estonia. I also ordered clients from Germany, Poland, Sweden, Israel, Italy and the United States. I am often ordered to write scientific articles, conference materials (clients from the CIS, Baltic countries and those who publish their articles in Scopus magazines). Why is it better to order work directly to me, without intermediaries? Because I personally look at the job, ask you questions about the work, I'll specify the details. Also, I myself write what is required of you. 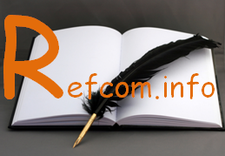 With me it's quite easy to contact by phone numbers listed on this site or on www.refcom.blog.pl. I give guarantees on writing works. I have a large database of completed work that confirms my qualifications. I have a personal certificate in Webmoney (since 2002 I am a member of this system), which confirms my reputation. I have also been actively working with Anti-Plagiarism since 2008. Therefore all my works are unique, I check them. Of course, if I can not carry out your work, I will immediately tell you and do not undertake such an order, so as not to let you down. No intermediary can give you such guarantees. No one with an intermediary can also be comfortable to work with. Yes, some intermediaries work with me (now very little), but the price for my work, if ordered through them, will be much higher. Write, please contact. At me you can order a thesis, order a master's thesis, order a scientific article, order a report on the passage of practice, order course, control, essay, problem solving.